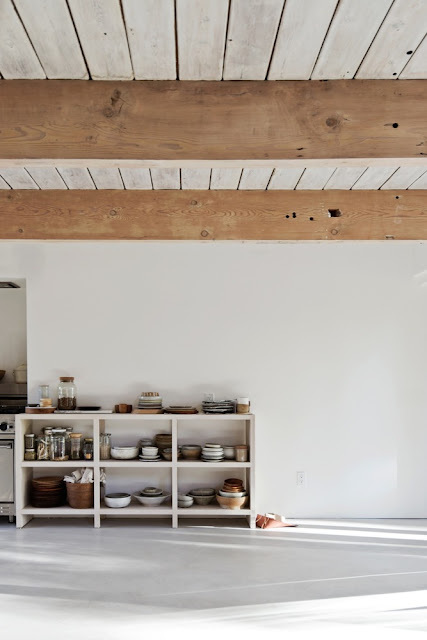 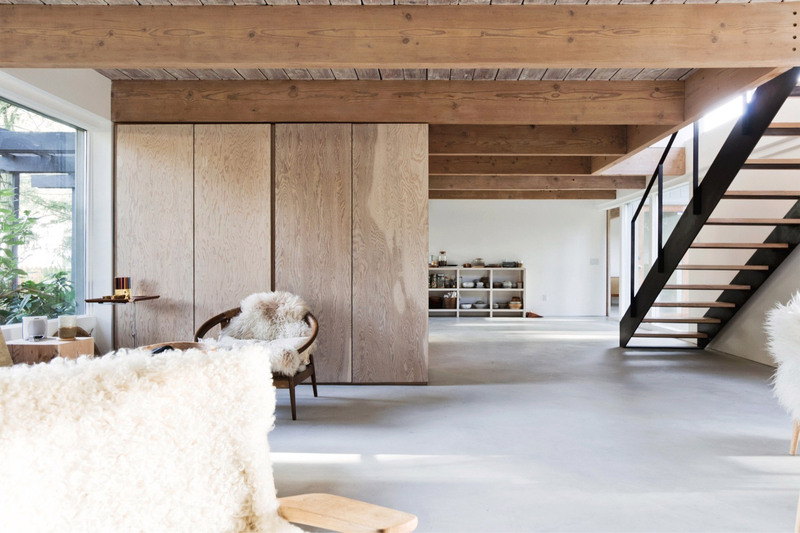 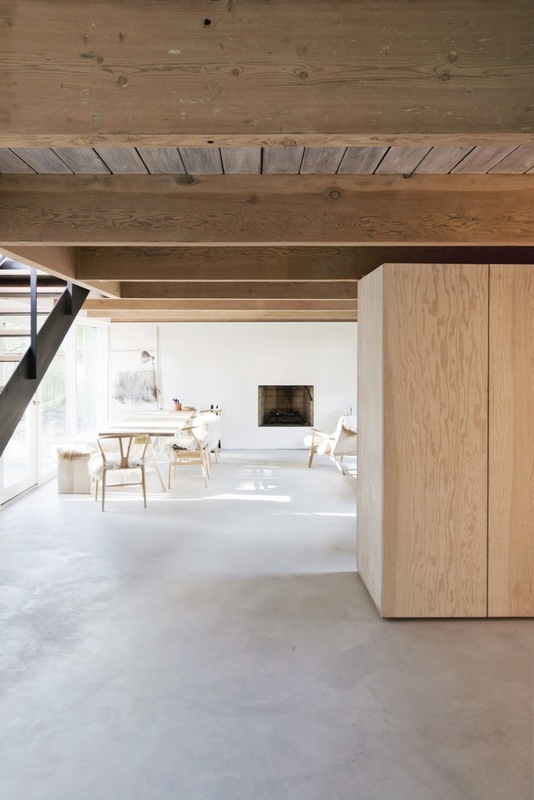 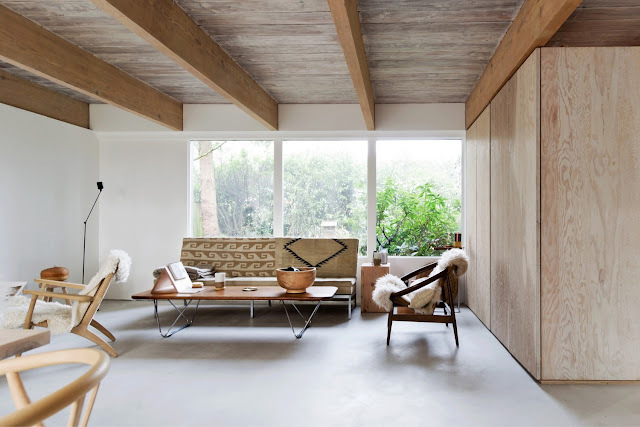 Canadian studio Scott & Scott Architects renovated the interior of a mid-century house in North Vancouver, Canada using a restricted palette of oiled wooden surfaces and whitewashed walls. Douglas fir plywood cabinet blocks separate different living areas of the open space. 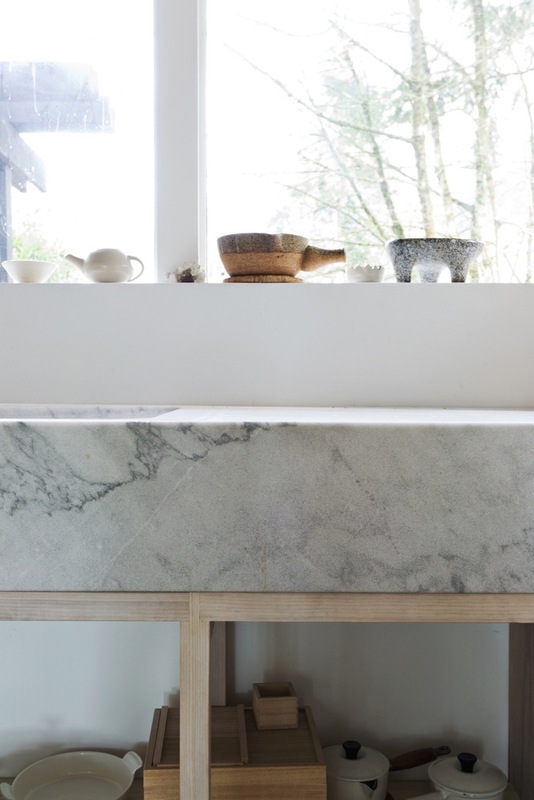 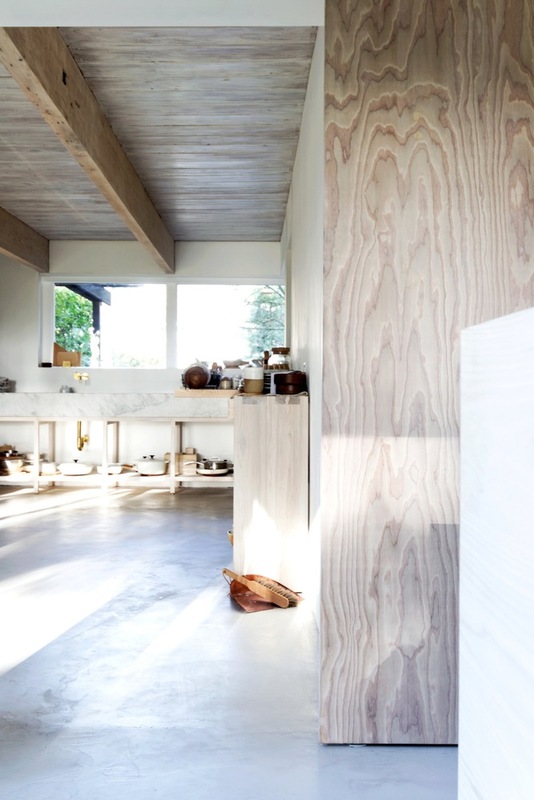 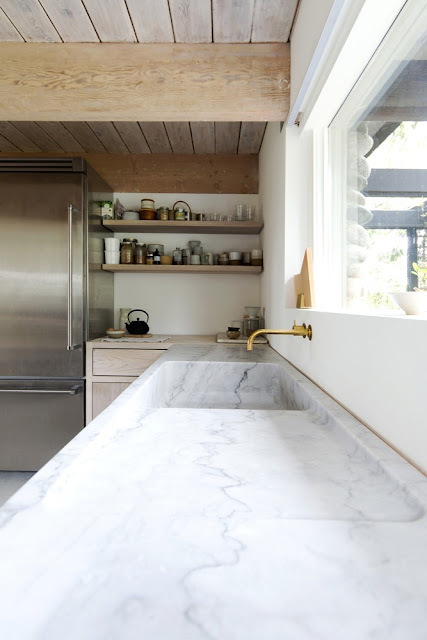 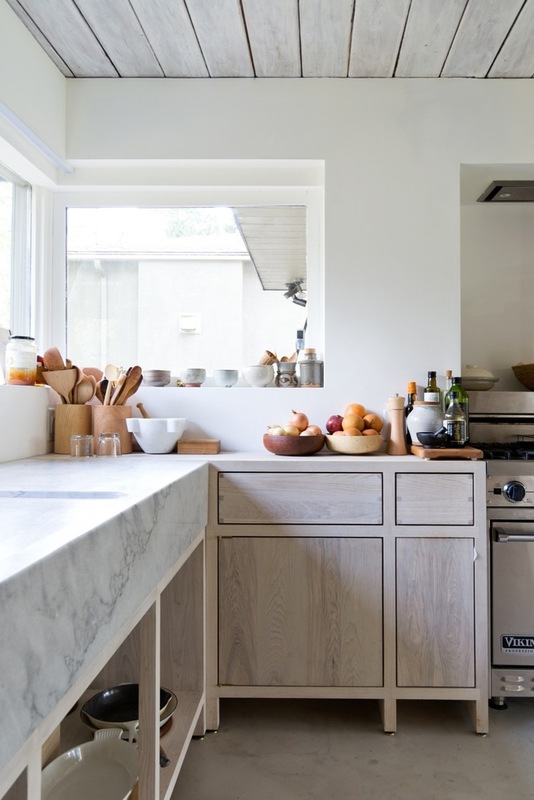 A specially selected marble monolithic counter defines the kitchen. 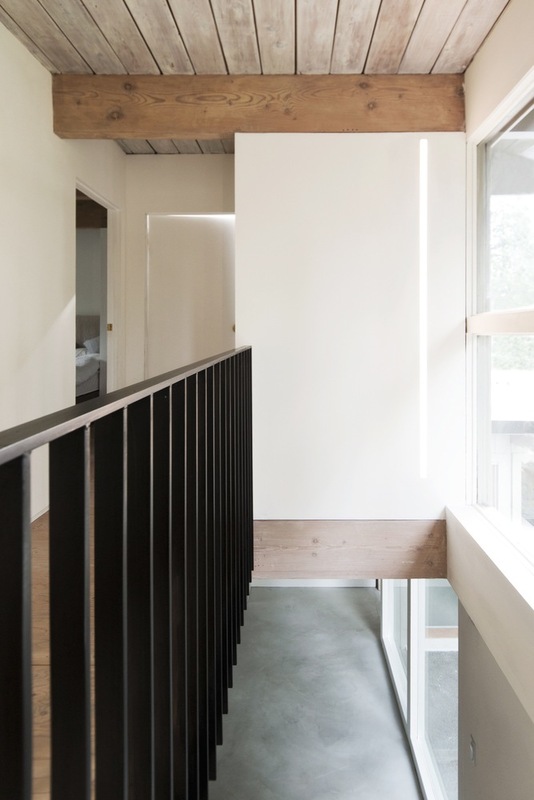 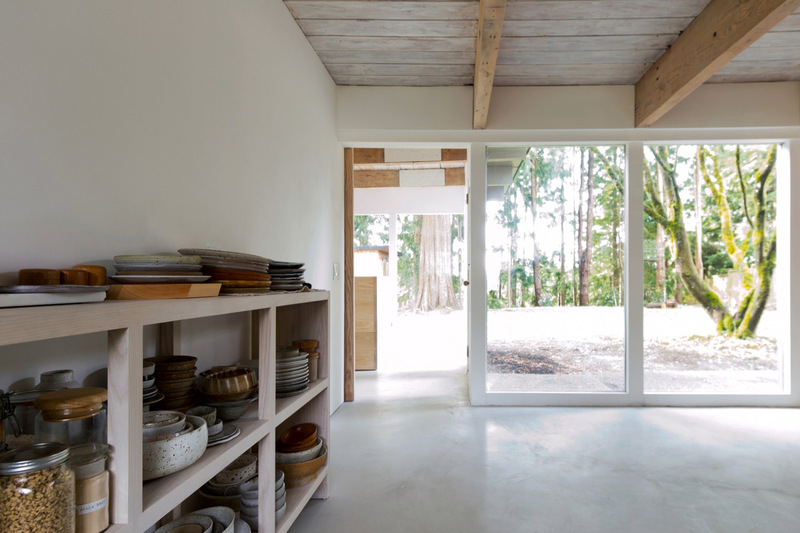 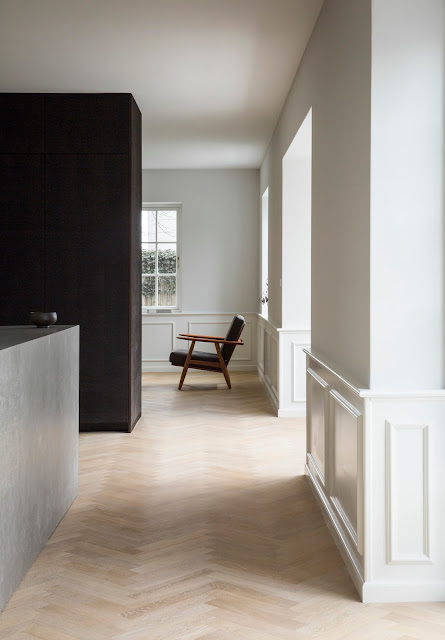 “The project draws from the architects and clients (two history professors) shared interest in traditional materials and respect for the original details of the house. The materials used were selected for their contrasting strengths and minimally finished using traditional methods that are maintainable and acquire visible signs of use over time. 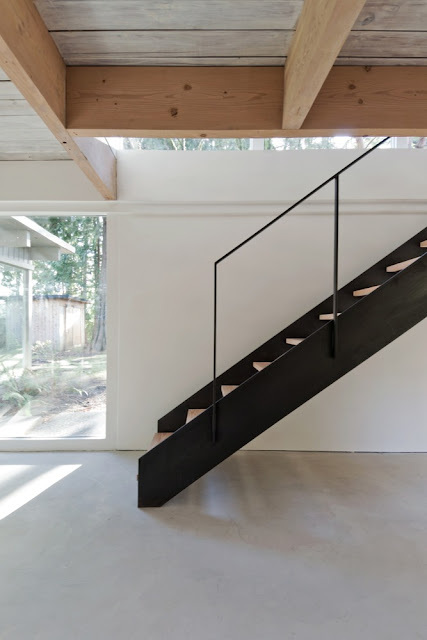 The steel stair and fireplace frame were finished with wood stove paste and bowling alley wax and the cabinetry was lye washedand sealed with soap. With minimal change to the configuration of the spaces, the functional storage was consolidated into two douglas fir plywood cabinet blocks to maximize the open spaces while providing concealed storage for the living, entry and kitchen.